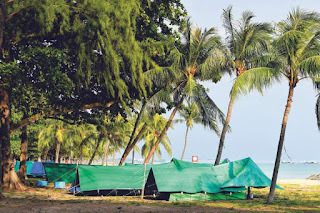 Chinese newspaper Zaobao reported that East Coast Park is now a “tent village” where not only more than a dozen people have set up camp, but is also headed by a 29-year-old “village headman”. Most campers were forced into this “temporary shelter” while they wait for their rental HDB flat. 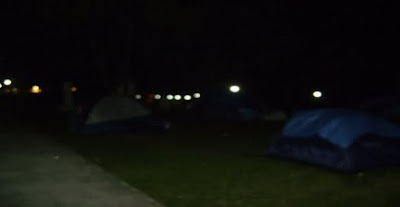 According to the newspaper, the “Tent Village” is in a location which is hidden from most members of the public, not far from a construction site, but near public toilets, which is convenient for the campers. Some tents were dismantled and the occupants moved out. But new ones would move in, pitch their own tents and "squat" in them for as long as they need to. And so the unlicensed tented community at a secluded part in Area D of East Coast Park, which popped up years ago and has shaped up to look like a "kampung" now, continues to exist. MSF regularly patrols beaches and public areas to identify and provide assistance to persons who may be homeless. MSF also responds to calls to the ComCare hotline from members of the public who come into contact with Singaporeans who may be homeless. Between 2011 to 2013, MSF provided support and shelter to 565 individuals and 404 families. About 80% are of low income and have weak social support. Three out of four were previous flat owners who had sold their flats for a variety of reasons, such as settling financial or debt problems, divorces, cashing out to make a profit, etc. After the sale of their flats, they find themselves not being able to afford to buy or rent another flat. Another one-quarter had fallen out their families and friends whom they were living with, due to reasons such as strained relationships, anti-social behaviour or addiction-related problems. Government agencies do their best to help these individuals and families explore sustainable housing options depending on their circumstances. They may purchase a flat within their means. In other instances, social workers help them to reunite and stay with their family members. For those with no options, HDB will assist them with rental flats under the Public Rental Scheme. For those who need temporary rental accommodation while they wait for or work out their longer-term housing option, HDB may refer them to interim rental housing. East Coast Park is one of Singapore's most treasured urban getaways, offering an invigorating and exciting diversity of sporting, dining and recreational activities. With the theme “Recreation for All”, the park has an activity for everyone. 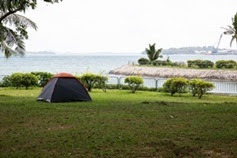 Camping is only allowed in Areas D and G at East Coast Park. Campers need to apply for a camping permit via the online portal or any physical AXS machine. All terms and conditions apply. The campsite had a holiday feel to it. Clothes hung on makeshift clothes-line. Small stoves and barbeque pits occupy the floor around the park shelter. There were fishing rods, crab traps, guitars, styrofoam boxes, unwashed plates and utensils as well. At one of the shelter, there was even a table on which were two containers of syrup. People - mostly Malays - sat in the shelter, chatting, laughing. A couple arrived with their kid pushing a small shopping cart of groceries. I counted 23 tents pitched on a grass patch about 50 meters long. The kampung spirit certainly lived on in these people, one would assume. Except that most of them would rather not be here at Sembawang Park. They were here because they had nowhere else to go. You could say they are homeless, but you would be wrong. The homeless do not exist in Singapore. They are merely 'temporarily displaced'. According to Zaobao, they were informed that there were many tents set up along the east coast. 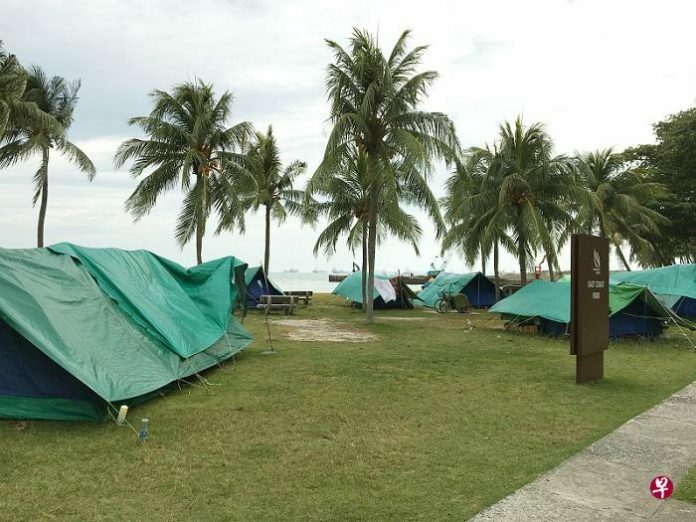 East Coast Park is now a “tent village” as dozen of people have set up a tent camp and also headed by a 29-year-old “village headman”. Most campers were forced into this “temporary shelter” while they wait for their rental HDB flat. The “Tent Village” is hidden from most members of the public, not far from a construction site, but near public toilets, which is convenient for the campers. Sorry to say but these people really don't deserve pity. Provide you with shelter you say you will lose your freedom, you rather pitch tent in public area. FREEDOM COMES WITH A PRICE. Live within your means and you will not end up like this. Keep complaining about rich people holding on to their HDB while owning private property. You know what? People can afford to own multiple properties because they worked hard for it. You think money drop from the sky? Stop complaining and blaming PAP for everything. Blame yourself for not making proper housing decision and end up homeless. Blame yourself for not seeking help from the correct channels. Blame yourself for your incapacity. What era already still want the government to spoon feed you. It used to be that vagrants would remain, unseen & unheard, at the margins of society. They bedded down in tents on the beach or slept on cardboard in the dark corners of staircase landings & void decks. But a growing number is moving, literally from the dark to brightly lit & safer urban areas, say charity or volunteer groups that reach out to those who sleep outdoors, as more built-up spaces emerge & businesses operate round the clock. Many are drawn, for instance, to eateries & supermarkets that are open 24/7, spending days and nights in the vicinity of the air-conditioned respite they offer. The campers had, on that following Monday, gone to the MCYS office to discuss the matter of alternative accommodation with the officers, as previously arranged. 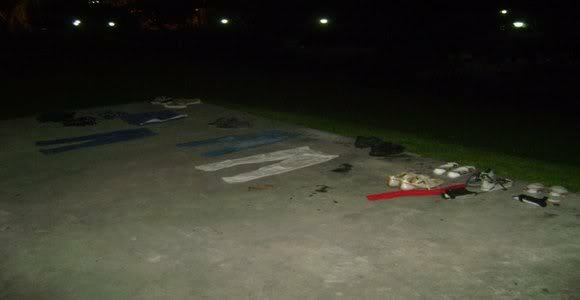 After the discussion, they returned to Sembawang Park to pack up their belongings. They were greeted with the presence of workmen at the camping area who apparently were there to seal off the site. Indeed, Nparks seem eager to have the homeless leave the area as soon as possible, given how swiftly it had arranged for the workers to be there. The day after the campers left, the camping area at the park was cordoned off for “maintenance”. Over at Changi beach, the homeless were treated just as badly. After the minister of MCYS’s visit, the campers were harassed for days, sometimes two or three times a day by Nparks officers, the campers told us. It is believed that these officers included those from other Nparks branches, such as East Coast, who were roped in to help rid Changi beach of the campers and the homeless, apparently. 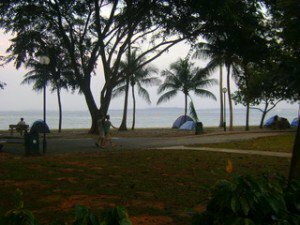 While East Coast Park is where many Singaporeans go to unwind after work, it is also a temporary home for a small group of people. Some occupants have made homes out of the makeshift tents dotting the park. Some Channel NewsAsia spoke with said they are waiting to be allocated housing, like HDB rental flats, & have no place to stay. However, while they say nobody wants to live in these conditions, they refuse to stay in shelters as they don’t want to give up their independence & privacy. That doesn't mean they are not constantly afraid that authorities will fine them for camping illegally. On Monday, 29 March, I went to Changi Beach in the morning. I had been there several times before in the past few months and have always been greeted by the sight of tents lined along the beach front. This time, however, the beach was completely empty of any tents, except for one put up by a young Chinese couple. I wondered where the regulars were – those homeless people who had been camping out there the last few months. I had become friends with some of them and heard their stories of how officers from NParks and MCYS had threatened and fined them for “squatting” at the park. Later I chanced upon one of the women who frequent Changi Beach. “They came and raided the place every day last week,” she told me. She was referring to officers from Nparks and MCYS. “Some of them were fined S$200,” she said. “So that is why there is nobody there now?” I asked her. “Yes, they have all disappeared. I do not even know where they have gone,” she replied. You can see these are pretty permanent. There are a lot more tents in between I didn't take pictures of, but these ones specifically I remember being there in the exact same spots at least 5 days before. Also, many of the tents are "double-tented" (is that a word?) They have a bigger tented staked into the ground covering a smaller tent. Oh, and the kids each carrying 5 or 6 2-liter bottles and filling them with water at the nearby shower also seems suspect. I suppose it's possible these guys are actually buying permits every day? I honestly don't care too much, mostly curious about it. But I will say in the second photo, those guys (and families) found one of the nicest patches of beach I've seen the whole way up or down ECP. Truly white sand and nice green grass that's not just scattered greens in a patch of mud. After divorcing his first wife 2 years ago, an operations executive has been living out of a van at East Coast Park. The van belongs to the cleaning company that the man, who wanted to be known as Mr Ahmad, 50, works for. 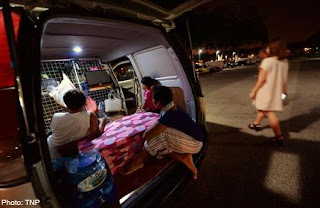 Mr Ahmad's current wife, who wanted to be known as Madam Rose, 30, joined him in February, with his daughter and son, to live out of the van at Carpark F2. They have been camped out there for months, but no one from the government agencies seem to have known about them – perhaps until The Online Citizen’s report on 13 January. 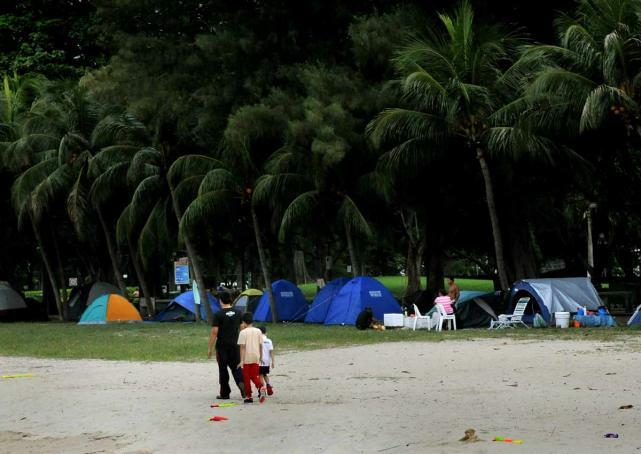 TOC had reported that some 15 homeless families were camped out in tents at Sembawang Park. Three days after TOC’s revelation, on 16 January, Saturday, at around 10pm, officers from the Ministry of Community Development, Youth and Sports (MCYS), and NParks, together with some 10 policemen, swooped down on the park. When TOC arrived at the scene at about 10.50pm, there were two police cars and a pick-up van. Some of the homeless were seen dismantling their tents. When queried about why they were being asked to do so, the NParks officers said the campers had broken “rules and regulations”, even though most of them still had valid camping permits. A project to get the East Coast Park homeless resettled has garnered positive results. Project 4650, started in 2010, has helped about 230 families so far. 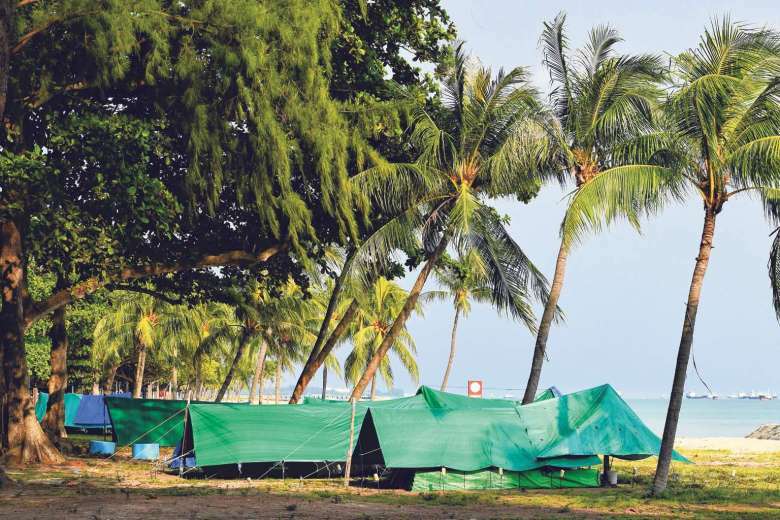 The multi-agency effort arose from the emergence of a large number of people living in tents, along the East Coast Park beach, a few years ago. The problem of families found living in public parks and beaches peaked in 2009, at the height of the Asian financial crisis. Dr Maliki Osman, Minister of State for National Development, said: "On a daily basis we usually identify about 5 to 10 at that time and what we saw were families with very young children and it was a concern to us. After divorcing his first wife two years ago, an operations executive has been living out of a van at East Coast Park. The van belongs to the cleaning company he works for and he lives with his wife and daughter. They are one of several families that spend the night in vehicles at that carpark while waiting for their flats. For four years, the newly-weds lived on the beach. From 2003 to 2007, they lived off their catch from the sea, did odd jobs, and washed in public toilets. At 16, Madam Siti (not her real name), a Primary 4 dropout, married Mr Osman (not his real name), 25, despite parental objections. They were ostracised by both their families. 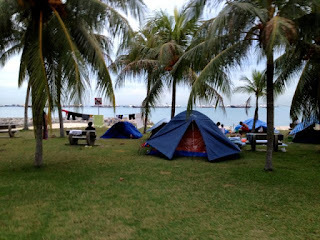 They lived in a series of pitched tents at Changi, East Coast, then Sembawang beach. When Madam Siti gave birth, her sister and in-laws took them in for a few months before conflicts drove them out to the beach. This went on till last year. You may recall that I wrote about the sad case of Rebecca Loh and the tragic consequences of our government’s callous policy of self- reliance at all costs. Recently I was saddened again by the plight of another victim of similar callousness though as yet still mercifully without the same tragic consequences. I will tell her story as she told it although we are still working on her case and no doubt more details will emerge. I believe it is not atypical. Where do the homeless go? 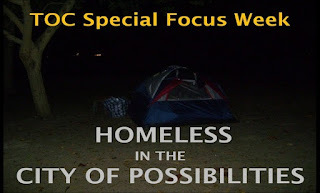 There seems to be a perception that people in homeless shelters normally don’t get evicted, I have come across many cases of eviction and notice of eviction from homeless shelters. A group of ex-temasek polytechnic (TP) students did a film about the less known, less talked about, sometimes seen, and always leaving people wondering: The Homeless People. Titled "Out In The Cold", it is a documentary bringing light to people and circumstances that sometimes can’t be help. The ex-students from TP who had to do a final year project for their Diploma in Moving Images formed the team of four for the documentary. They are Tan Yi Wilfred, the director, Nur Shahirah A. Latif, the producer, Sing Valerie, the director of photography and Anisa Bte Abdul Latiff, the editor. Some of you might have criticised the govt for building the extravagant Esplanade spending hundreds of millions tax payers money on a building that hosts operas, musicals and symphonies that only the richer citizens can afford. But you are wrong, while the rich get to watch “Les Misérables“, the poor get to sleep in the underpass between Esplanade and the Citilink Mall at night. The Esplanade is indeed a very useful building both rich and poor people get to use it. It seems not all the ‘sleepers’ are jobless. Why do people with jobs need to sleep in those places? The answer is very simple and logical. The real wages of some workers are now so low that after the numerous bouts of utilities increase, transport fare increase, and rental increases, there is hardly any choice but to sleep on streets. I would do it too if I make $900 a month because I can save $100 on transport because I sleep close to where I work, another $200 on rental and $50-$100 of utilities bill….in other words I can save half my income, by sleeping in public places. As Singapore heads for top 1st world status, the cost of living can only rise relative to the wages of low income workers. 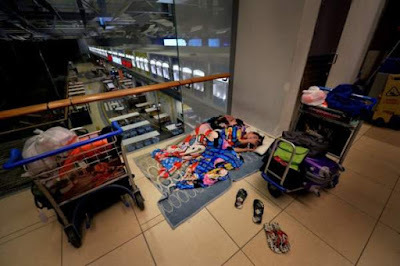 We can see greater utilisation of our public buildings, MRT stations, bus interchanges and 24hr MacDonald’s outlets as they double up as sleeping areas for these sleepers. It is great that our beloved govt had such great foresight to invest so much money on these beautiful buildings such as the Esplanade we now know how much vision it took…..I really couldn’t imagine that the Esplanade could be actually be that useful to everyone. Homelessness is a complex issue without a quick or one-size-fits-all solution. Some displaced people reject intervention by the authorities because they do not want to be compelled to continue living with families or co-tenants. These strained relationships cannot just be blamed on personal traits as they may be born out of deeper conflicts. Volunteers have also found that a number of displaced people exhibit some form of mental or physical disability, & these people face challenges adapting to life in shelters. Even the concept of a home for a displaced person may be different. For some, it is not about "owning" a place or having a roof over their heads for the night. It is about having a place where they feel safe, in control & surrounded by people they get along with. “I have lived in several different countries in my life. However, living in Singapore is the closest thing to paradise that I have ever experienced”, exclaims an expatriate in a blog post and adds “I thought it was interesting that I did not see a single homeless person during my entire stay in the country. I am sure there are homeless people in Singapore”. The expatriate is surely not alone in ‘not seeing a single homeless person here’. 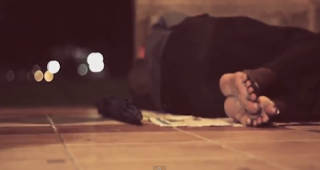 The homeless among us are ‘invisible’ to many Singaporeans as well. So where do they live? The Ministry of Social & Family Development said in Parliament last year that they “regularly patrols beaches and public areas to identify and provide assistance to persons who may be homeless”. Yes, some homeless individuals and families live along our coastal shores. As I was walking through Chinatown last week, I passed a man. His shirt was dirty. He smelled bad. He looked sick and was maybe developmentally challenged. He seemingly carried all his possessions in two plastic bags. Yes, there are homeless people even in prosperous Singapore. As he passed I thought about the $50 bill I had in my wallet that I was saving for milk, lunch or a taxi. After a few seconds, I turned around to go give it to him but he was gone. Why do people hate Singapore? Have you ever Spoken to a Cardboard Uncle or Aunty? Singapore: A Sampan or a Cruise ship? COL goes Up, Up, Up! A minimum wage for Singapore? Why is everything breaking down in Singapore? DPM Tharman: "I'm not the man for PM"